Canada participated in FIFA World Cup Qualifiers in 2008. From 35 teams in CONCACAF, only three teams qualified for the 2010 FIFA World Cup in South Africa: USA, Mexico and Honduras. In FIFA World Cup Qualifiers in 2008, Canada first won a two-match preliminary round against St. Vincent and the Grenadines. Canada then posted two draws and four losses, but did not advance beyond the semi-final group stage. Also during this era, Canada participated in the 2007 CONCACAF Gold Cup and the 2009 CONCACAF Gold Cup. In 2007, Canada reached the semi-final stage, but lost 1:2 to USA in Chicago after an apparent late Canadian goal was called off by the assistant referee. Canada's Julian de Guzman was selected Most Valuable Player of the tournament. In 2009, Canada reached the quarter-final stage, but lost 0:1 to Honduras in Philadelphia. 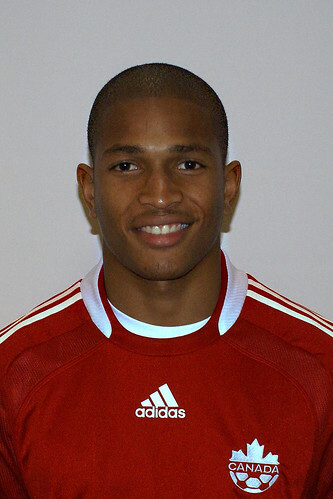 Julian de Guzman won Most Valuable Player honours at the 2007 CONCACAF Gold Cup, helping Canada reach the semi-final phase. One year later, he won Canadian Player of the Year honours. 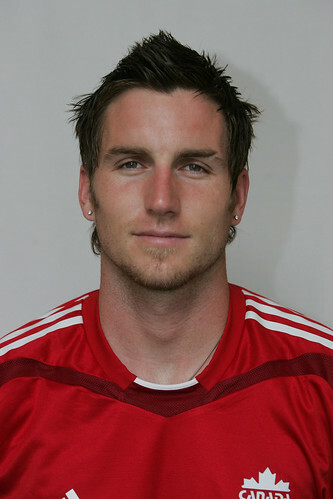 After playing professional football in France, Germany and Spain, he returned home to play for Toronto FC, winning three-straight Voyageurs Cups from 2010 to 2012. 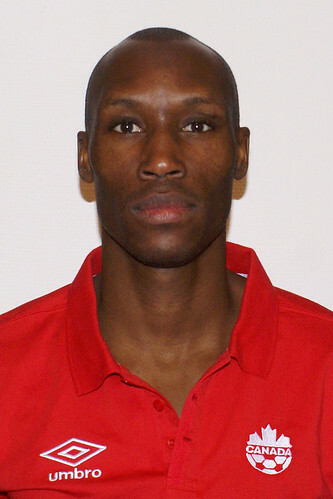 Atiba Hutchinson is a one-time winner and one-time runner up of the Canadian Player of the Year award. A tournament all-star at the FIFA U-20 World Cup UAE 2003, he has since participated in three cycles of FIFA World Cup Qualifiers and five editions of the CONCACAF Gold Cup. He has played pro soccer in Sweden, Denmark and Netherlands. Simeon Jackson won Canadian Player of the Year honours in 2009 following a terrific run for both club and country. He has participated in two cycles of FIFA World Cup Qualifiers, scoring a hat trick in 2011. He has also played in two CONCACAF Gold Cups and one FIFA U-20 World Cup. At the club level, he helped Norwich City earn a promotion to the English Premier League. 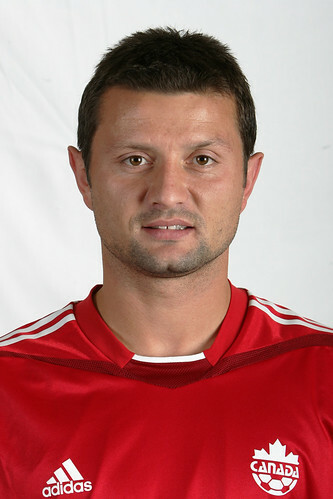 Tomasz Radzinski scored 10 times for Canada at the international level, with three of those goals scored in FIFA World Cup Qualifiers. 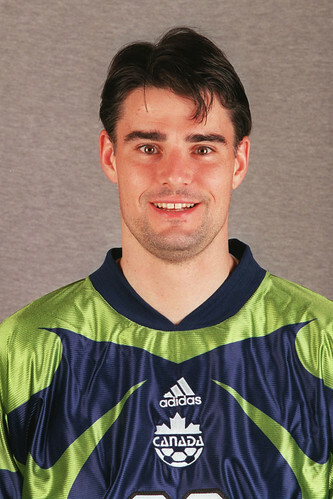 After becoming the first Canadian to score in a European competition in 1996 (UEFA Cup match), he then earned the highest transfer fee for a Canadian in 2001. 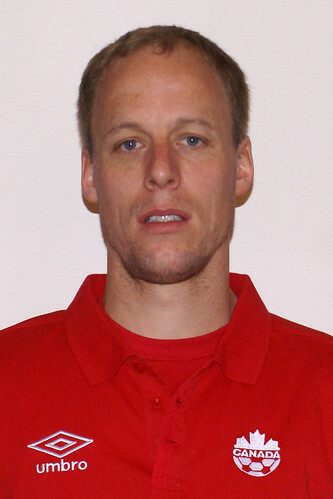 He won Canadian Player of the Year honours in 1998.